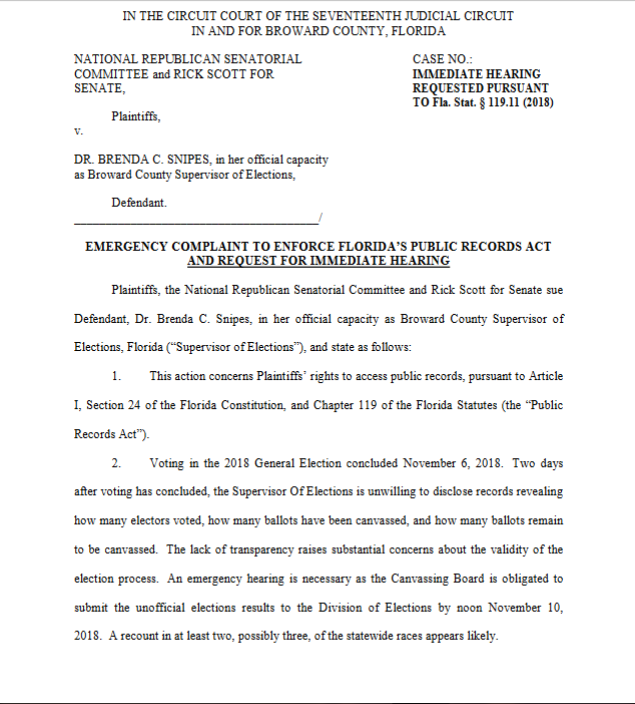 Lawsuit accuses Dem Florida election officials of trying to ‘steal the election’. This entry was posted in 2018 Election, News, Politics. Bookmark the permalink. Revisionist history is taking place right before our eyes. THIS is BLATANT voter fraud being done right in front of our faces. We are witnessing a coup. A world gone mad. Orchestrated by the likes of Obama, Clinton, Waters, Pelosi et al . May all who participate in an attempted coup against President Trump hang from gallows. Madness has come, it is about to go full swing. If Ginsburg croaks or retires the minions of the Left will set this tinderbox on fire. Pray, be safe, be armed, we are dealing with a delusional dark enemy. There is film of that hocuspocus. This is from the twatter account of Tim Canova, and Independent running against Debbie Wash-your-hair Schultz. We are officially part of the second civil war of The United States of America. We are in power. Don’t lose sight of truth. She has been sued before and also has other problems. Dropping a link from 2 years ago. There is this also and much much more. I read somewhere today, not sure where, that she had been convicted twice on voter fraud. There was no link, so IDK about that. She destroyed ballots when she was being sued or something from 2016. Evidently nothing was done to her. They need to do the same in Arizona and Georgia. It’s past time to start throwing these people in jail.